The chemical name for Anavar is Oxandrolone which is a widely known and used oral anabolic steroid. Anavar was developed during the 1950s and 1980s when many of todays most used anabolic steroids were born. Oxandrolone is an almost perfect anabolic steroid in that it’s a mild androgen but will produce high quality gains in lean muscle mass and strength. So much so that Anavar had been medically prescribed to females and children for the treatment of varios weight loss and muscle wasting diseases. Oxandrolone was first produced in 1962. Shortly afterwards Anavar was branded and released into the medical market by G.D. Searle & Co. Laboratories, which is known today as Pfizer Inc . Although Anavar is the most commonly known other trade names existed such as, Protivar, Anatrophil, Antitriol, Lipidex, and Lonavar. Anavar then built quite a reputation as an effective medically prescribed anabolic steroid with multiple clinical studies demonstrating its effectiveness and safety. Anavar is part of the DHT (Dihydroteststerone) steroid family and has various structural and chemical alterations making it a unique compound. A C-17 alpha alkylated (17aa) anabolic steroid allowing for oral ingestion. Making Anavar more anabolic than Testosterone via a substitution of a carbon and oxygen atom, not many androgens since Oxandrolones creation have replicated its effects. Clinical data confirms Anavar is between 3x and 6x more anabolic than Testosterone . Oxandrolone is essentially DHT with a methyl group attached to the 17th carbon position allowing this anabolic steroid to remain effective after oral administration. Due to this 17aa modification it allows the compound to survive the first pass through the liver making it more resilient to hepatic metabolism. Other chemical modifications include changing the 2nd carbon of the first cycloalkane ring, whereby the 2nd carbon is removed and replaced with an oxygen atom. It is this change that’s thought to give Anavar its potent anabolic rating. This also protects Anavar from becoming an inactive metabolite in muscle tissue as its resistant to the enzyme 3-hydroxysteroid dehydrogenase, unlike DHT its parent hormone. As stated above Anavar is a member of the DHT related hormone class. Other well-known anabolic steroids part of this group are, Winstrol (Stanozolol), Masteron (Drostanolone) and perhaps Primobolan (DHB related). 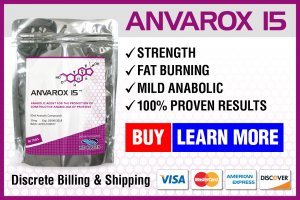 Anavar possesses an anabolic rating of 322-630 whilst having a much lower androgenic rating of 24. In comparison Testosterone has a rating of 100 for both anabolic and androgenic activity. These numbers can explain its popularity when athletes and bodybuilders goals are performance enhancement with little side effects including no additional water weight. It is an anabolic steroid used widely to gain lean body mass whilst burning excess body fat. A versatile compound, Anavar is known as “mild” among other anabolic steroids, but possesses one of the highest anabolic ratings. When compared to another DHT related hormone Primobolan, which has an anabolic rating of 88, it’s not hard to understand Oxandrolone can be a potent muscle tissue gainer with a rating of between 322-630. Anavar is given this anabolic range due to 17aa oral steroids having a poor bioavailability when ingested orally not allowing for 100% of the active Oxandrolone milligram to enter the blood stream. Some Oxandrolone will unfortunately be lost therefore meaning a solid anabolic and androgenic rating cannot be given accurately. Estrogenic Side Effects:Anavar is not aromatised in the body, nor exerts any progestational activity . Gynecomastia is not a concern when using Anavar by athletes and bodybuilders. DHT derived anabolic steroids can actually aid in the reduction of estrogen related side effects. Many steroid users will use anti-estrogens at a lower dosage when combining androgens that aromatase with DHT derived compounds. Androgenic Side Effects:Although Oxandrolone has a low androgenic rating, related side effects can be evident. Acne, oily skin and body/facial growth have been observed in Anavar users. Male pattern baldness (MPB) and psychological mood changes such as ‘roid rage’ can be apparent in both men and females. Prostate enlargement and changes have been reposted when using DHT androgens, although recent research also points the finger at estrogen having an important role in Prostate-Specific Antigen (PSA) changes. Females are warned virilisation related side effects can manifest with low Anavar doses or usage for extended periods. These include, clitoral enlargement, deepening of vocal chords, menstrual irregularities, aggression and facial hair growth. Hepatic Side Effects:Anavar is a c17-alpha alkylated compound which protects the parent hormone (Oxandrolone) from being broken down by the liver and rendered useless. This alteration allows for a high percentage of the drug to enter the blood stream after oral administration. Anavar exposure should be limited to 4-6 weeks due to negative hepatic changes in enzymes aspartate transaminase (AST) and alanine transaminase, aka alanine aminotransferase (ALT). Compared to other 17aa anabolic steroids, Anavar is not as toxic due to not being as heavily metabolised by the liver. This is shown in clinical date where around 33% of Oxandrolone is excreted in urine . Other data suggests Oxandrolone causes the lowest sulfobromophthalein (BSP) retention when compared to methyltestosterone, methandriol, norethandrolone and fluoxymesterone. BSP is a marker for liver stress . In another study looking at doses of 20mg, 40mg and 80mg per day in 262 HIV+ males for 12 weeks, liver enzymes were observed and showed a statistically significant increase with higher doses. In the 20mg group no changes in ALT/AST were shown, but in the 40mg per day group liver enzymes increased by 35-50%. However, in the 80mg per day Oxandrolone group a rise of between 50-100% increase was shown. When administering Anavar a support supplement such as, Liv 52, Milk Thistle or Tauroursodeoxycholic acid (TUDCA) is advised. Cardiovascular & Lipid Side Effects: All anabolic steroids have the tendency to cause negative cholesterol and lipid profile changes. This happens by reducing HDL (good) cholesterol whilst increasing LDL (bad) cholesterol causing an increase risk of cardiovascular events, arteriosclerosis and coronary heart disease (CHD). Due to Anavar being a non-aromatising anabolic androgenic steroid (AAS) and17aa orally ingested its effective on cholesterol are dramatic. In the study cited above on 262 HIV+ patients lipid changes were also recorded. In the 20mg per day group HDL was lowered 30%. In the 40mg per day group a 33% change was seen and 50% in the 80mg group. LDL was also increased between 30-33% in the 40mg and 80mg groups. These changes are very unfavourable and usage should be limited. AAS can also increase blood pressure causing hypertension, therefore kidney damage. Increased risks of myocardial infarction are evident due to elevations in triglycerides. Recent research has shown that maintaining a healthy lipid profile is extremely important to lower cardiovascular risks. Limiting compounds such as Anavar, using low doses and conducting a regular exercise-training program is advised. Fish oil at 4-5g per day, Vitamin K2, CQ10, Krill Oil and Citrus Bergamot are all dietary supplements that should be used alongside AAS. Testosterone Inhibition: Unfortunately, all AAS have an impact on endogenous testosterone production to varying degrees. Citing the HIV+ trial again, 20-40mg per day of Anavar lowered serum testosterone by 45%. In the 80mg group a reduction in total testosterone was seen by 66%. Luteinizing hormone (LH) decreased by 25-30% in the 20-40mg per day Oxandrolone group. In the higher dosage 80mg group a 50% decline was observed. Other data as shown a 40% decrease in total testosterone (TT) in dosages as low as 15mg per day for only 5 days in healthy men . Anavar is widely known as a lean muscle mass gaining anabolic steroid and compound used to maintain muscle mass when in a calorie deficit. With a high anabolic rating used in the 60-80mg per day dosage lean mass can be added quite effectively with a diet high in protein and clean calories. However, due to its hepatoxic nature and adverse side effects on cholesterol, its use is not suggested over 4-6 weeks. Anavar is often used to ‘kickstart’ a steroidal cycle for the first 4-6 weeks or during the last few weeks leading to post cycle therapy (PCT). For the purpose of bulking, Oxandrolone can be used if quality muscle is the goal as opposed to absolute mass and weight. Anavar can be combined with mass gaining and bulling agents such as, Testosterone Enanthate, Deca Durabolin and Trenbolone. If the priority is cutting, Var is often used to preserve muscle tissue whilst the users diet and cardiovascular training regimen accelerates fat loss. Anavar has been shown to enhance fat burning in individuals but other thermogenic compounds like Clenbuterol are better suited. For medical uses the vast majority of Anavar dosages start at 2.5mg per day. This is reflected by the pharmaceutical grade Anavar branded products being the same mg per pill/tablet or serving. Although larger doses have been used in a medical setting at between 20-80mg per day in order to combat muscle-wasting diseases. Burn victims are all dosed similar Oxandrolone dosages. For performance enhancement effects, doses of 20-60mg per day can be used. Anavar is not a mass agent and will not yield water retention increasing body weight. But will produce steady slow to moderate gains in lean muscle tissue with a solid diet high in protein and training program. For advanced users and bodybuilders, 60-80mg per day can be used. These doses will create increased vascularity, hardening of muscles and increase speed and strength. There is no reason to exceed 80mg per day. Females can use Anavar due to its mild nature and safety profile compared to other 17aa AAS. To avoid virilisation effects doses of 5-10mg per day are advised. A dosage of 20mg per day can be used, but further risks will need to be expected. Again, limit the use to only 4-6 weeks due to the adverse effects on lipids. Recent research has proved that Oxandrolone should be administrated with coffee to enhance its bioavailability by as much as 15-20x . Anavar is one of the most expensive anabolic steroids used today. This is due to Oxandrolone powder being expensive to manufacture than other testosterone derived hormones. DHT derived steroids are commonly higher priced. The 2.5mg pharmaceutical grade Anavar branded products are extremely rare now to find and purchase. Compounding pharmacies do produce Oxandrolone in the United States. Still 5-10mg tablets are legally produced and obtained with a valid prescription from a willing doctor, anti-ageing or longevity clinic. These products can be expensive priced at $150-$300 for 60 tabs at 10-20mg. Underground lab (UGL) Oxandrolone products are easier to acquire and cheaper. High quality Anavar products do exist but are commonly faked due to high prices. Prices for Oxandrolone variants at 20-50mg per pill for 60 tablets will run between $80-$150. Online internet sources are often cheaper as they’re directly manufactured by the source before sale. Gym sources often increase prices due to obtaining the illegal drugs via a supplier and wanting their cut. There is (and probably always will be) an overwhelming amount of counterfeit Oxandrolone products in the black market due to their expensive price and demand. We do not suggest buying Anavar at all due to this reason. If you decide to, then do at your own risk. 1. Fox et al. J. Clin Endocrinol Metab 22 (1962):921. 2. Oxandrolone: A Potent Anabolic Steroid Of Novel Chemical Composition. Fox M, Minot AS, and LIddle GW. Journal of Clinical Endocrinology and Metabolism. 1962; volume 22, Pgs. 921 – 924. 3. Published reference of personal communication from Saunders F.J. (April 21, 1961) to author of Methyltestosterone, related steroids, and liver function. Arch Int. Med 116 (1965):289-94. 4. Short-Term Oxandrolone Administration Stimulates Net Muscle Protein Synthesis in Young Men. Melinda Sheffield-Moore, Randall J. Urban, Steven E. Wolf, J. Jiang, Don H. Catlin, David N. Herndon, Robert R. Wolfe and Arny A. Ferrando. Sheffield-Moore et al. Journal of Clinical Endocrinology & Metabolism. August 1, 1999; 84 (8): 2705. 5. Studies on anabolic steroids. II–Gas chromatographic/mass spectrometric characterization of oxandrolone urinary metabolites in man.Massé R1, Bi HG, Ayotte C, Dugal R.
6. Short-Term Oxandrolone Administration Stimulates Net Muscle Protein Synthesis in Young Men. Melinda Sheffield-Moore, Randall J. Urban, Steven E. Wolf, J. Jiang, Don H. Catlin, David N. Herndon, Robert R. Wolfe and Arny A. Ferrando. Sheffield-Moore et al. Journal of Clinical Endocrinology & Metabolism. August 1, 1999; 84 (8): 2705. 7. Salema, J. Ruivo, X. de la Torre, M. Sekera1, L. Horta. Oxandrolone excretion: effect of caffeine dosing.